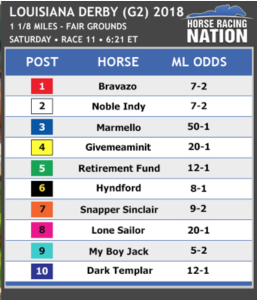 MY BOY JACK heads to the “Big Easy” for the $1,000,000 G2 Louisiana Derby (100-40-20-10) in hopes of keeping Monomoy Stables’ Derby/Oaks Double alive. 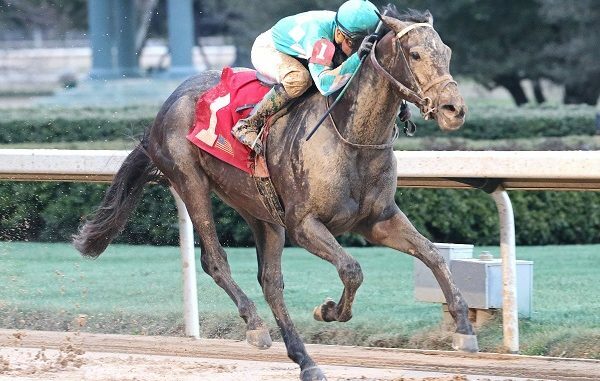 After an ultra impressive last out, winning the G3 Southwest Stakes at Oaklawn by 4 1/2 lengths, My Boy Jack is the early favorite heading into Saturday. 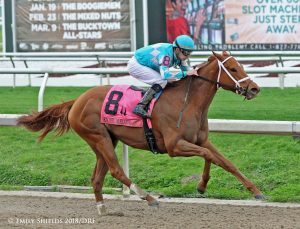 Owned in partnership with Don’t Tell My Wife Stables, My Boy Jack is part of a Kentucky Derby/Oaks Double for Sol Kumin’s Monomoy Stables. The other half of this exacta is G2 Rachel Alexandra winner and Kentucky Oaks Future Wager favorite MONOMOY GIRL who looks to make her next start in the G1 Ashland at Keeneland. Both My Boy Jack and Monomoy Girl were yearling purchases from the 2016 Keeneland September sale in Monomoy Stable’s first year of ownership.